Creative People in Florence has teamed up with The British Institute of Florence to present an art history course designed specifically for CPiF members*. 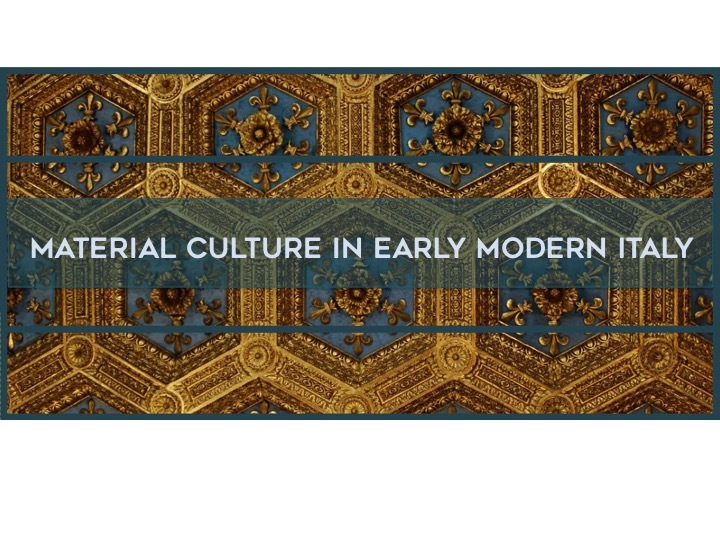 With working contemporary artists, artisans, and designers in mind, the 15-session course entitled Material Culture in Early Modern Italy focuses on the role of the applied arts in the shaping of Italian culture from the 13th to 17th centuries. With a strong focus on the city of Florence, its Renaissance guilds of craftsmen and later workshops of the Medici Court, this course provides historical context and interpretation for the ornament, apparel and furnishings of Florence’s golden age. Not only is the course material geared at our members, so is the price! The course fee has been contained as much as possible and includes both in-class lectures and guided site visits. This is a fantastic opportunity to deepen your understanding of the history of your craft and your relationship to Florence. In order to confirm the running of this course, 12 full enrollments are required by 11 March 2016. Please check out the full course description for all the details. *The course is open to CPiF members. If you haven’t already done so, you will be asked to pay your 10euro annual membership fee for CPiF at the first meeting.